Chipotle is setting aside its problems and going on a hiring spree. The company, which has struggled in recent months with an E. coli outbreak and a lawsuit accusing it of mistreating workers, plans to offer jobs to 5,000 people across the country on Sept. 28. A spokesman says Chipotle needs the staff as it opens more than 200 of its Mexican-style restaurants this year. Chipotle calls it National Career Day. The first was a year ago, when the chain hired more than 4,000 workers. More than 65,000 registered for interviews. This year, Chipotle plans to interview up to 100 applicants at each of its roughly 2,000 U.S. restaurants. Applicants can register online. Chipotle (CMG) employs about 60,000 people nationwide. It typically hires for entry-level jobs making burritos and promotes almost all its managers from within. The company reported its first quarterly loss in April and has been besieged by other bad news. Thousands of current and former employees are suing Chipotle, accusing it of making them work without pay after they were clocked out. The company denies wrongdoing. 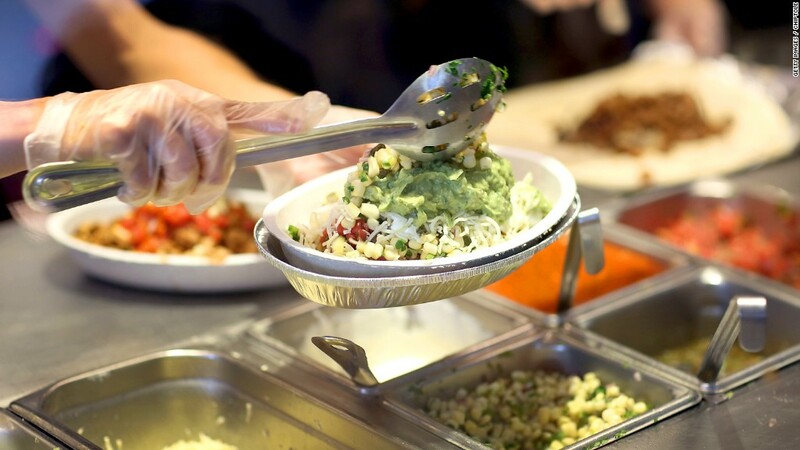 Starting in 2015, hundreds of customers across the country were sickened with E. coli, norovirus and salmonella after eating at Chipotle restaurants. The Centers for Disease Control and Prevention declared the outbreak over in January, but federal authorities have opened a criminal investigation. And in July, a top Chipotle executive was charged with seven counts of cocaine possession. The stock has plunged 42% over the last year. But there are people who still believe in Chipotle, including Bill Ackman of the hedge fund Pershing Square (PSHZF), who just bought a 9.9% stake. In a public filing, Pershing called the company "undervalued" and "an attractive investment."